December 2017 Employees of the Month! We asked Ezequiel to answer a few questions about YES. Here's what he told us. 1. How did you find out about YES? I found our about your staffing agency from my brother. 2. Whats been your favorite job through YES? This one. It's the only job I have had with YES. 3. What do you think would make YES better? It would be better if we got paid a little more. 4. What would you tell someone looking into working with YES? It's a good place to work. Ezequiel was awarded a thank-you certificate and YES beanie for his great work. Thanks again Ezequiel for being a part of the hard-working Utah staffing team at Your Employment Solutions! Haja was awarded a thank-you certificate and YES shirt for her great work. 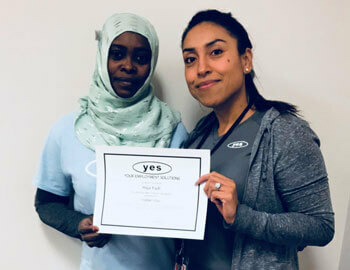 Thanks again Haja for being a part of the hard-working Salt Lake City, Utah staffing team at Your Employment Solutions! 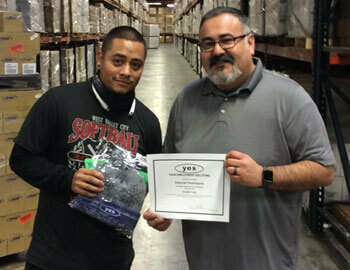 Jairo was awarded a thank-you certificate and YES shirt for her great work. Thanks again Jairo for being a part of the hard-working Salt Lake City, Utah staffing team at Your Employment Solutions! 1. How did you find out about YES? A family member told me about your staffing agency. 2. Whats been your favorite job through YES? Fresenius is my first job through YES but it is currently my favorite. The staff and employees are all awesome and helpful. 4. What would you tell someone looking into working with YES? That it is a great staffing agency and they do help out very well when you're trying to find a job that suits you. Maria was awarded a thank-you certificate and YES hoodie for her great work. 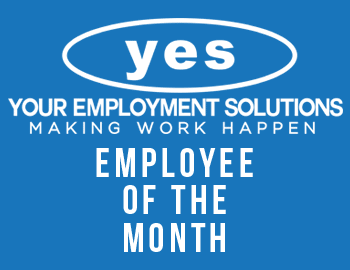 Thanks again Maria for being a part of the hard-working Ogden, Utah staffing team at Your Employment Solutions!